New releases of the software can be obtained from our support site. Verified customers and vendors can access the site using their provided customer information. New vendors will need to have a Non-Disclosure Agreement (NDA) before access will be granted. Please provide the requested vendor information for further assistance. 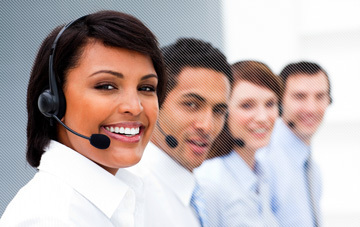 Critical issue support is provided 24/7/365. We recommend critical issues be reported using the toll-free number. Upon receipt of the call, our friendly staff will contact you within one hour of the issue being reported. Please send an email for non-critical issues. Our knowledgeable staff will respond to these issues during normal business hours within one business day. Normal business hours are from 8 a.m. to 5 p.m. Central Standard Time (CST). View informational videos about the product here. Look here to find answers to frequently asked questions. If the answer to your question is not shown, use the form on the contact page to reach us for more information. Your success is our goal. No matter your question or problem we will be there to assist or guide you in the right direction. Answers to most questions can be found in the frequently asked questions section (FAQ). However, if you are unable to find the answer you need, our friendly support staff can be reached via email, web, or telephone during our normal business hours of 8:00 a.m. to 5 p.m. Central Standard Time (CST). Configure software to meet the needs of your agency and geographic location. No need to change what works for you and your team. User-friendly interface allows users to quickly become proficient in navigating through the software. Use of the mouse, keyboard, or a combination of both ensures every user easily adapts. Everything you need to observe, maintain, and continuously improve the standard of care in your community. Use the questions, responses, and training curricula developed and approved by your local or regional medical, fire, and law enforcement authorities. We have successfully deployed and supported two electronic guide card delivery applications for the public safety industry. These applications are currently being used in communication centers across the country. We deliver high-quality software that offers the features and reliability users in this demanding industry require at an affordable price. Customer satisfaction and success is our mission. We listen to what customers want and then provide a solution that meets their needs. Receive support from individuals who have intimate, comprehensive knowledge of the product. We are proud to have strategic relationships with some of the industry's most respected vendors. Together we provide customers the best integrated solution for their organization.